It’s 2019. Although we’re not quite living the reality that 19th-century futurists predicted — I'm still waiting for my Marty McFly style hoverboard — a handful of really cool inventions over the past decade have changed the way we live. One such invention is the chatbot. According to a report by Gartner, more than half of all enterprises are likely to spend more on chatbot development than on traditional app development by 2020. That’s because chatbots have become a central and inescapable tool for effective conversational marketing, especially in the B2B space. So what actually is conversational marketing, why does your business need it and why are chatbots such an important tool for enhancing your overall marketing strategy? In other words, conversational marketing occurs when you engage with prospects and customers in real time and in as personalized a way as possible. Technically, you could consider certain social media platforms — such as Twitter — good channels for conversational marketing because you can communicate with customers almost immediately and on an individual level. However, there’s a reason that chatbots have risen as the number one conversational marketing tool in the B2B industry. Why Do You Need A Conversational Marketing Strategy? More and more businesses today are using chatbots as the face of their brand. By programming chatbots to have human-like personalities and service web visitors without the need for manual intervention, businesses can provide more enjoyable, personalized and contextualized experiences to their prospects and customers — and they can provide those experiences at scale, even with a small team. These buyer-centric interactions mean that prospects can access the information they’re looking for more quickly and, therefore, move more quickly through the various lifecycle stages. The shorter the sales cycle, the faster you can close customers and flow them back into the prospect stage of the flywheel for retention and upselling. Additionally, conversational marketing allows you to capture information about your customers that you wouldn’t have been able to previously. Rather than presenting web visitors with a cold, unwelcoming form, you can greet them on high-intent web pages and offer a warmer, more enjoyable way to convert. Will Conversational Marketing Replace Lead Forms? Probably not. Typical buyer behavior still leaves room for both tactics to be valuable, but conversational marketing offers an attractive option for users who want a short, frictionless route to whatever it is they’re looking for. Using a chatbot to deliver relevant content to interested users is really no different than gating that content behind a form. But the one key advantage that chatbots have over traditional lead forms is their ability to capture real-time information about prospects and respond to that information instantaneously. A form can give you some insight into a customer’s needs, goals and challenges — for example, if a user downloads The 30 Greatest Lead Generation Tips, Tricks and Ideas, it’s safe to assume that they’re struggling to generate leads and looking for a solution — but a conversation with a web visitor can provide explicit feedback about their intent. In that sense, conversational marketing creates an immediate feedback loop that serves to blur the line between marketing and sales. By transferring interested prospects from marketing to sales as quickly and efficiently as possible, chatbots make every marketer, salesperson and service team members’ life so much easier. What’s Next for Conversational Marketing? The major impact that conversational marketing has made in the B2B marketing world is even more impressive when you consider the fact that chatbots are really still in their infancy. Since a one-to-one, human conversation has the ability to branch off in so many different directions, the interface used to program chatbots can get a little complicated. In the future, these interfaces will likely become more intuitive and streamlined, allowing marketers to program the logic of their chatbots more quickly and easily. But for now, the best way to effectively program your chatbot is to work backward. Start by defining the goal of a given conversation — whether that’s to get the visitor to convert, book a demo with sales or subscribe to your blog — then think about the different ways you might be able to reach that goal through a natural, human conversation. Drift recommends reading your bot’s script out loud as you’re designing it to make sure it sounds natural, friendly and human. No matter your business, conversational marketing can be a fresh and highly effective tool for engaging with your prospects and customers. 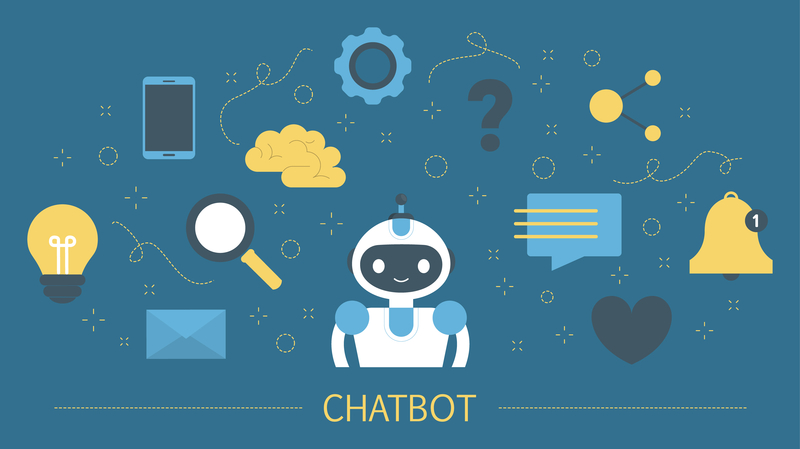 As chatbot technology continues to evolve, experiment with the different ways that you can use conversational marketing to shorten your sales cycle, learn new information about your prospects and enhance the empathetic element of your brand.